This schnitzel, filled with cheese and ham, was very tasty, indeed. 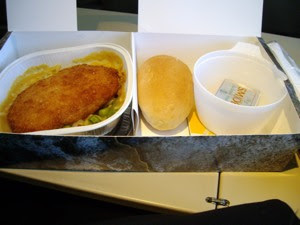 One of the best airline meals, I have had. Served with rice and vegetables.